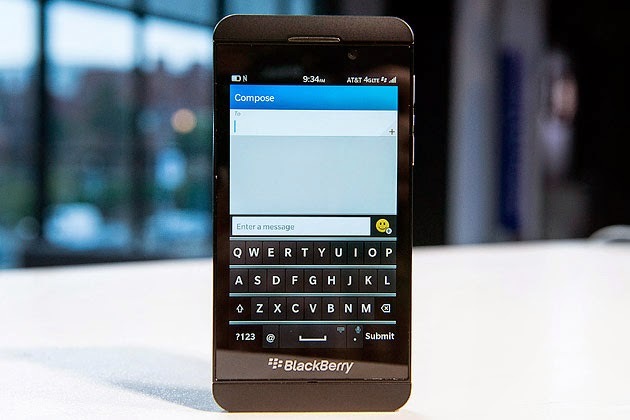 Someone on BlackBerry's social media team just made an embarrassing mistake. A tweet from the company's Twitter account on Tuesday included a small detail at the bottom of the screenshot, revealing it was sent via iPhone. Clearly, even some BlackBerry employees use Apple products. The tweet, which was first spotted and screenshotted by The Verge, has since been deleted. This isn't the first time that a BlackBerry representative accidentally gave the iPhone an inadvertent stamp of approval. Alicia Keys, who was once BlackBerry's "Global Creative Director," ignited a mild social media scandal in 2013 when she tweeted from an iPhone instead of a BlackBerry. Hours later, Keys dubiously blamed the situation on being hacked. She is no longer working with the company. The smartphone manufacturer, which has floundered in recent years amid stiff competition (mostly notably, Apple), is in the throes of an attempted comeback. It recently launched a throwback device called the BlackBerry Classic, tried to catch eyes with "unconventional" devices and even has a hand in the development of a self-destructing phone [Mashable].